Around 100 business leaders and senior finance executives gathered today at an event organized by KPMG in Bahrain to review and debate the first 100 days of VAT in the GCC and the lessons to be learnt for Bahraini businesses from the introduction of value-added tax (VAT) in the Kingdom of Saudi Arabia (KSA) and the United Arab Emirates (UAE). The half-day seminar, ‘VAT compliance for Bahrain businesses in KSA and UAE: the do’s and don’ts in Bahrain and beyond’ examined the current implications on Bahraini businesses with operations in or with Gulf countries that have already implemented VAT, how to tackle these, how to ensure a correct tax treatment from business partners and what to expect in Bahrain including process and technology solutions. “Although VAT is not intended to be a tax incumbent on businesses, proper compliance and self-audit and assessment by tax-payers is an important cornerstone for the administration of the VAT by the Tax Authority (in the course of being set up in Bahrain) and this implies for companies the need to plan for automation of their VAT processes to minimize errors and be ready for an increased digitalization on the authorities’ side through real-life reporting and master data uploads and analytics. Initial steps to take can be upgrading or automating from within the existing Enterprise Resource Planning (ERP) system or rolling out add-on tools, embedded in the overall digital strategy of the organization. VAT is a new concept to Bahrain and the GCC region, and after go-live further changes are quickly expected to happen to the law and its application. Therefore, companies need to be responsive to regulatory updates and take action to adapt their internal processes, knowledge management and IT systems.” Norré continued. During the event, Norré explained as well how to prepare tax returns, with lessons derived from the first compliance cycle in KSA and UAE and showcased digital options available in the market to optimize this process. He also reviewed the role of tax agents in streamlining tax reporting and compliance and discussed the expected approach in the Kingdom of Bahrain. 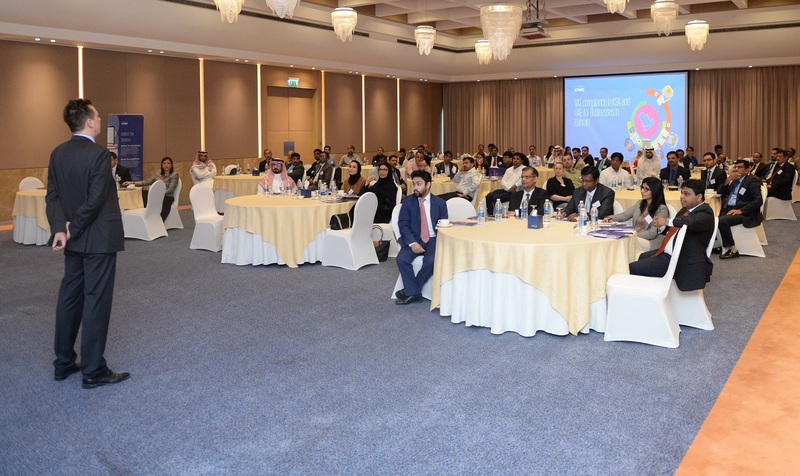 The event took place on Monday 12 March 2018 at the Downtown Rotana Hotel. For more information about KPMG in Bahrain’s upcoming tax events, please contact Khalid Seyadi, senior marketing executive at KPMG in Bahrain, on kseyadi@kpmg.com. KPMG is a global network of professional services firms providing Audit, Advisory and Tax services. We operate in 154 countries and territories and have 200,000 people working in member firms around the world. The independent member firms of the KPMG network are affiliated with KPMG International Cooperative (KPMG International), a Swiss entity. Each KPMG firm is a legally distinct and separate entity and describes itself as such.